365 My Sandvik Digital Service Solutions provide you with visualization of fleet utilization, productivity, safety and health on a 24/7 basis. Once activated, the Knowledge Box™ on board your Sandvik fleet collects and transfers equipment data to the My Sandvik IoT hub. This is where gathered data is processed into easy-to-use knowledge about your fleet’s health and performance. The gained knowledge helps you to make substantial observations and prioritize actions during daily operations. The valuable services of 365 My Sandvik Digital Service Solutions can be accessed through the My Sandvik customer portal, where you can subscribe either to My Sandvik Insight or Productivity. 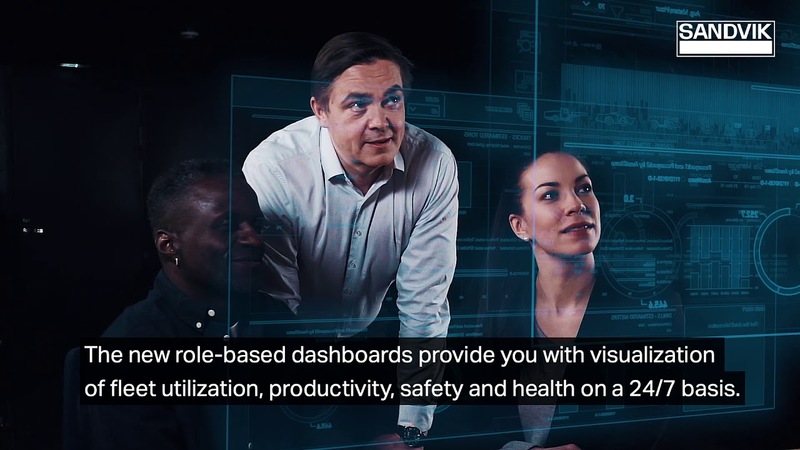 Role-based dashboards are available on the My Sandvik Productivity service level and contain both productivity information, health and safety related alerts, as well as signal reports. Connect your Sandvik Knowledge Box and transfer data to gain easy-to-use knowledge from your fleet. My Sandvik utilizes the same technology used in secure online banking and online purchase transactions to ensure protection of your credit card and social security information. We are fully committed to the security of your data! As a Sandvik customer, the My Sandvik portal gives you 24/7 customer support – no matter where you are in the world. Not only does it provide you with access to My Sandvik Insight and My Sandvik Productivity reports, but you can also use it to request quotations and place orders any time you need. My Sandvik Insight is an easy-to-use digital service solution that provides you up-to-date knowledge about your fleet's performance – whenever and wherever you need it. As a Sandvik customer, the My Sandvik customer portal not only provides you with access to information on your fleet – you can also use it to request quotations and place orders any time you need.